I was worried about finding good vegetarian food in Hamburg. In a land of currywurst and schnitzel, I had resigned myself to the fact that 48 hours in Hamburg would mean 48 hours of sauerkraut. Yet, how wrong I was. “And for you, madam?” the waitress asked, expectantly. We had just sat down for our first lunch in Hamburg and all eyes were on me. My husband had already made his choice – some kind of pork meat with potatoes and vegetables on the side. Now it was my turn. My mind flashed back to hundreds of meals out with carnivores who spent ages perusing the menu, gleefully reading every item in full and licking their lips with each new word they read. I, on the other hand, only had to scan the menu until my eyes fell upon the very sad and lonely looking green (v) next to an even sadder sounding mushroom risotto – the lazy restauranteur’s choice. But here, in Hamburg, something was different. 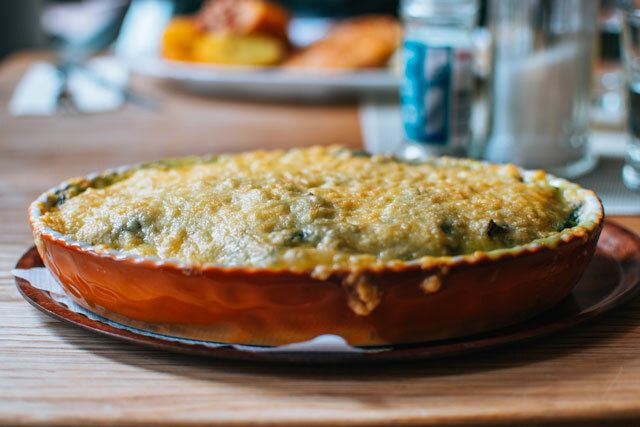 “Ooh, there’s just so much choice!” I exclaimed, before settling on a deliciously creamy cheese and spinach potato gratin. Finding good vegetarian food in Hamburg wasn’t so hard, after all. Germany has been through somewhat of a foodie revolution in recent years. With 10% of the German population opting for a meatless lifestyle (that’s more than any other European country! ), vegetarian food in Hamburg and all other German cities is very much on the rise. 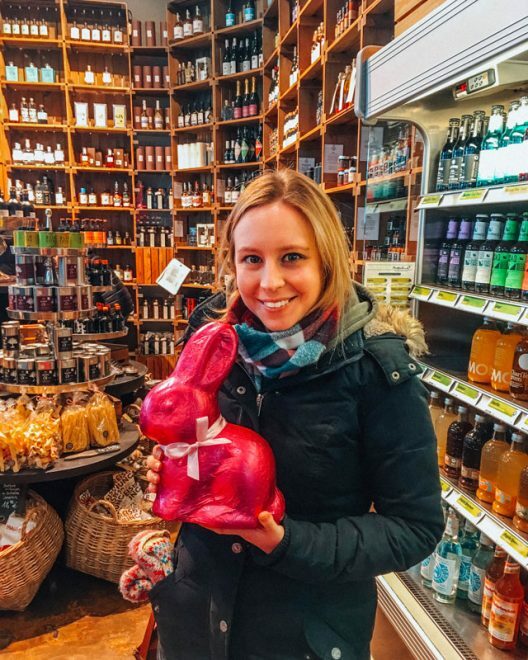 >> Are you a vegetarian exploring Europe? You might also like my post on Where to eat in Vienna as a vegetarian too! Kartoffel Keller – anyone for potato? Those who speak German will understand that this place is a cellar, that specialises in potatoes. The name says it all! 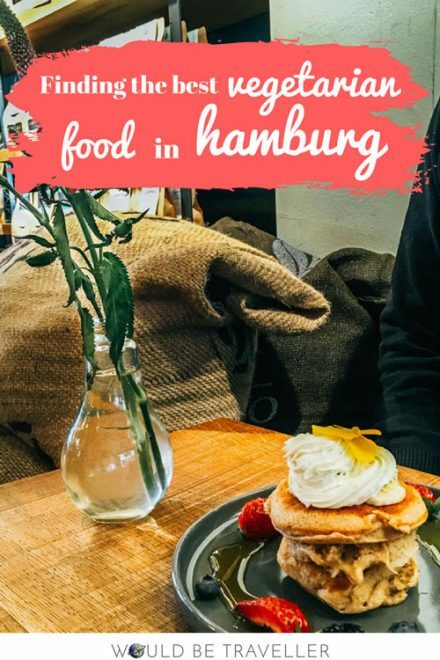 If you are in serious need of some carb-based energy, but also want something typically German to ease you into your visit to Hamburg, this restaurant is perfect. 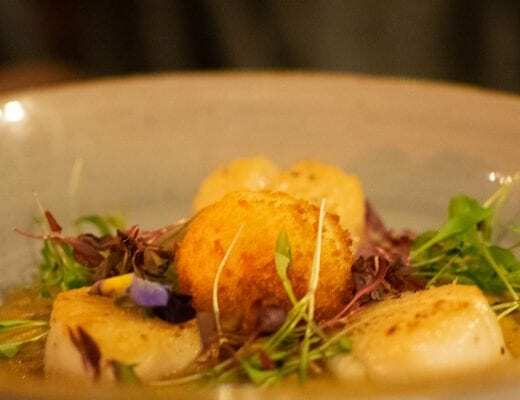 Set along one of the city’s many waterways on Deichstraße, and just a few minutes’ walk from Speicherstadt, Kartoffel Keller’s menu is full of dishes, all centred around the humble potato. Heck, even the menu is shaped like one. Carnivores will enjoy the stews and cuts of meat, while vegetarians will have a hard time choosing between the delicious traditional potato pancakes, baked potatoes, potato dumplings, potato salads and plenty of potato casseroles too. I hope you like potatoes! If you’re on the hunt for good, local beer and vegetarian food, you’ll find it all here. There’s a few of these Joh. 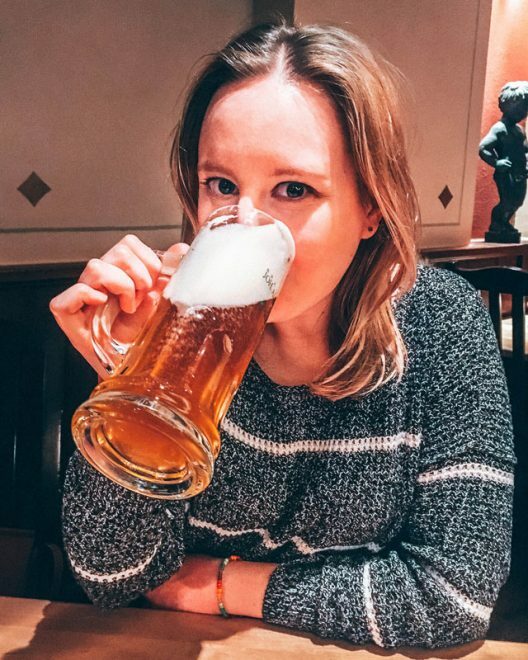 Albrecht micro-breweries around Germany, so you’re in pretty safe hands. The one in Hamburg is in a very central location, just steps away from the Rathaus. It looks small on the outside but is deceptively large. Enjoy the lively bar area at the front of the building, or enjoy the wonderfully cosy atmosphere around the tables at the back if you want to stay for something more substantial. The menu here is more limited for vegetarians than other places in Hamburg, but you’ve still got a choice of a German style pizza (flammkuchen) or a pasta dish. 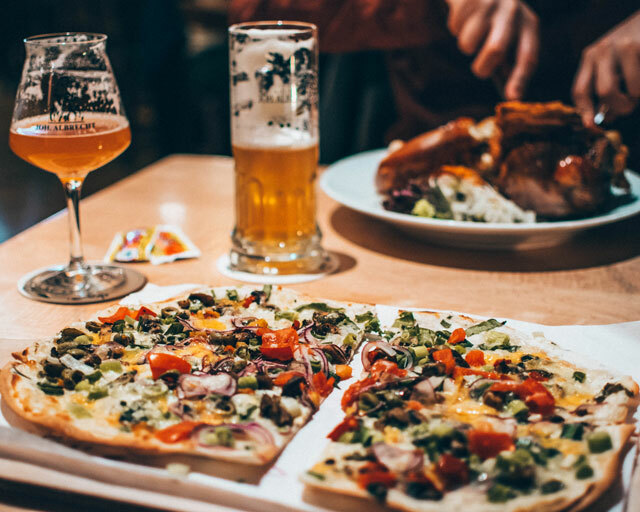 I personally had the flammkuchen – a very thin and crispy dough base topped with sour cream, roasted vegetables and cheese. It was pretty tasty, and helped keep hunger at bay while I tucked into delicious wheat beer. Home-brewed beers are the real stars of the show here. Mutterland Stammhaus is a lovely little cafe, set in the heart of a delicatessen selling confectionary and fresh groceries. The cafe serves up a variety of light meals throughout the day, but it’s the breakfast most people look forward to here. Located in the heart of Hamburg, just around the corner from the main train station, it can get very busy so be prepared to look around the store while you wait for a table. There’s a good choice on the breakfast menu, but make sure you order the ‘frühstück für zwei’ (breakfast for two) without the ham. 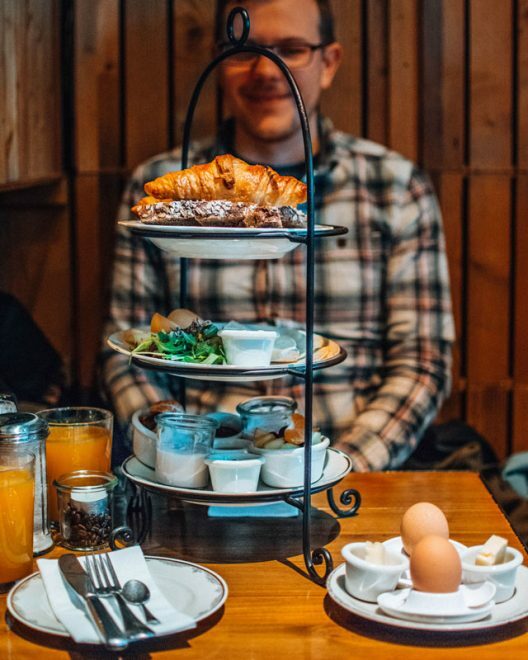 You’ll be treated to a display of fresh breads and pastries, yoghurt, fresh fruit, cheese and two glasses of orange juice to share, all served up on a three tier afternoon tea-style platter. €€€ – It’s quite expensive for breakfast at €30 for two, but you certainly won’t need lunch after this breakfast! 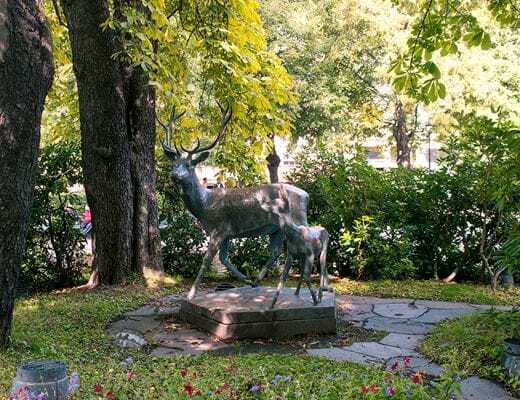 Providing respite from the lively and hipster neighbourhood of St Pauli, Brachmanns Galeron is a cosy little restaurant, perfect for a romantic meal with your meat-eating loved one. The menu is small and changes weekly, but you’re guaranteed to find a couple of dishes that will satisfy your vegetarian persuasion, and plenty to occupy your fellow travellers too. They also can offer vegan food if you ask. 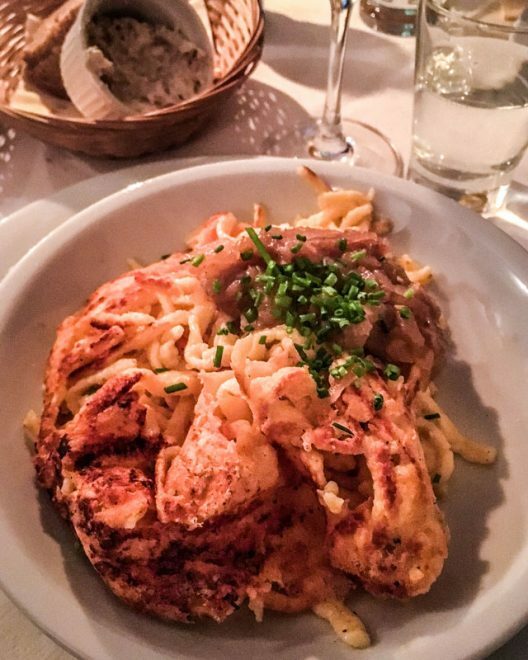 I tried spätzle – another German speciality of noodles made with egg and cheese and served in a sauce. It was warm, filling and very tasty indeed. Wash it down with a glass of German wine, which was actually pretty good. This is a real local’s place, but the friendly staff speak excellent English if you don’t know your bittes from your dankes. The menu clearly states they don’t take credit cards, but there’s a cash point just around the corner. We also spotted somebody paying by debit card if you get really stuck. Instagrammers rejoice! 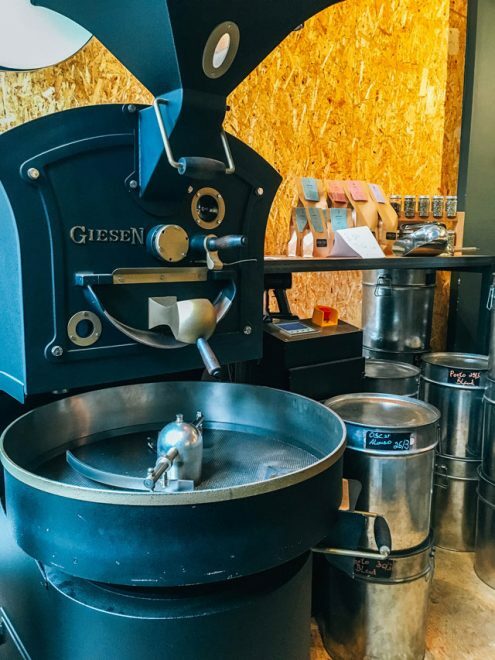 You’ve hit jackpot at Nord Coast Roastery. 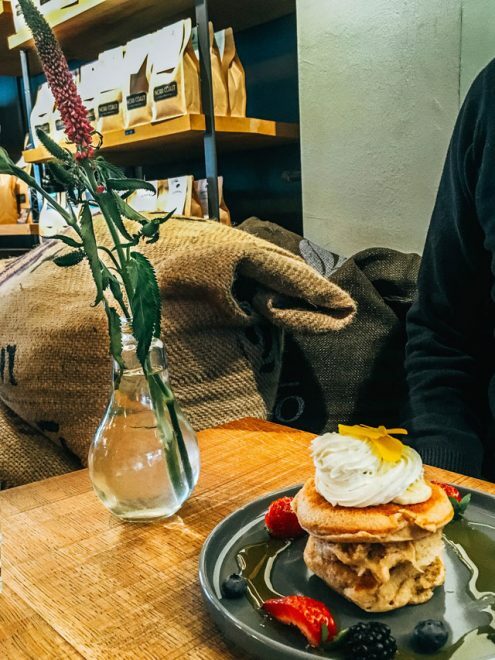 It’s primarily known for its coffee (they roast and grind the beans before brewing them in a variety of ways to suit your tastes) but the food is pretty special too. 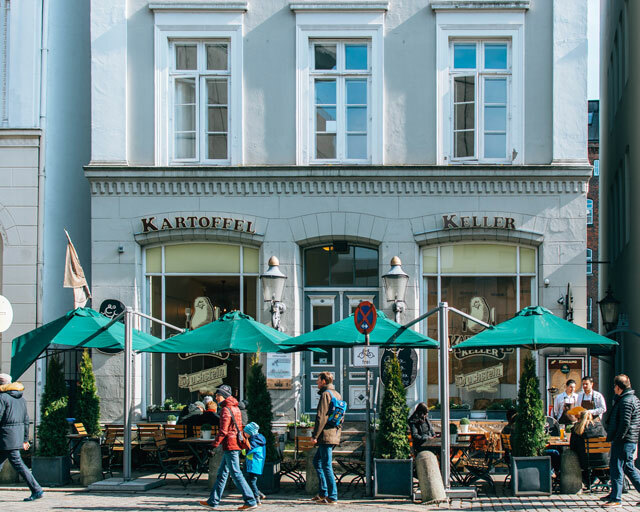 Just up the road from Kartoffel Keller on Deichstraße, it’s the perfect place to eat breakfast before a long day of sightseeing. Make sure you book or get there just as it opens to get a table as word is spreading about this place. 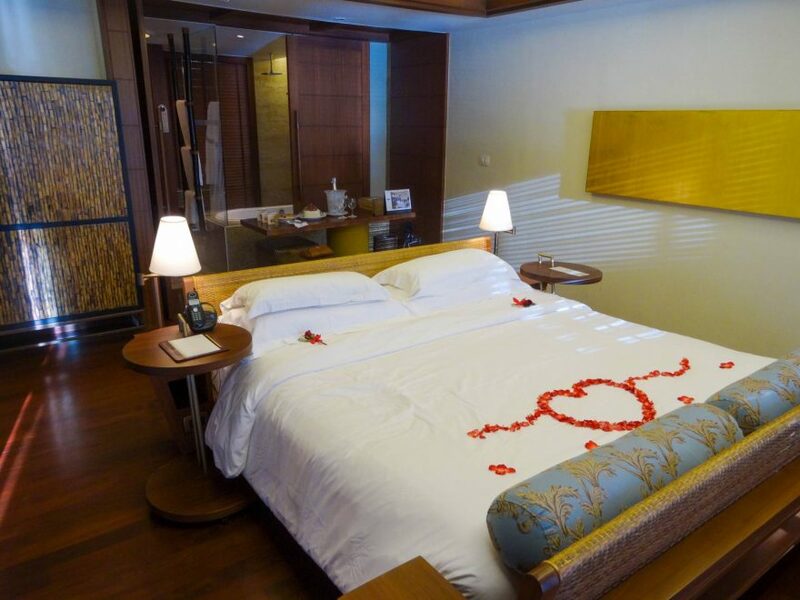 A lucky few can watch the world go by from the window overlooking the water. The vast majority of the menu is vegetarian, but every single dish is a winner. 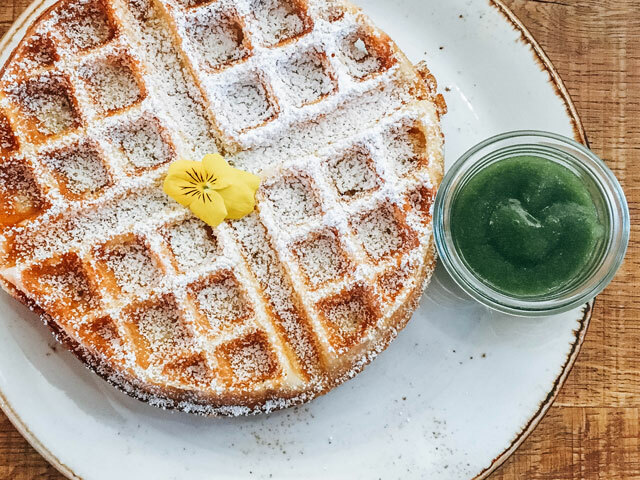 Between us, we tried the banana pancakes with lime cream and the homemade waffles with an apple and basil compote. They were both delicious and equally Instagram worthy. Hamburg is a pretty easy place to be a vegetarian, really. Every restaurant has at least one dish on the menu you’re bound to love, so you can keep your meat-loving companions happy too. And I know you’re wondering but, no. There was no sauerkraut in sight. Have you ever visited this lovely little city? Leave a comment below to share your favourite restaurants in Hamburg for vegetarians. I’m sure there’s plenty more to discover! 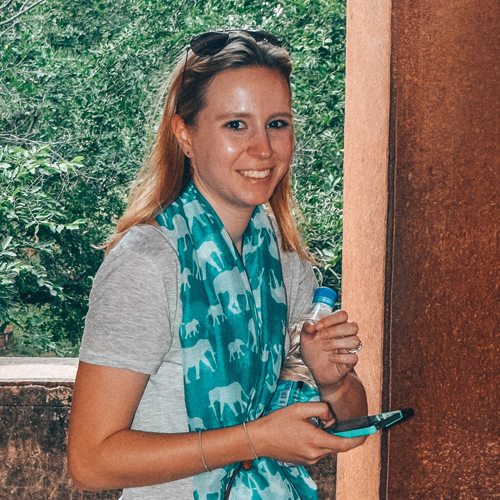 Previous Post Working in the travel industry: what's it really like?